Today is my 31st birthday and I’m in a contemplative mood. 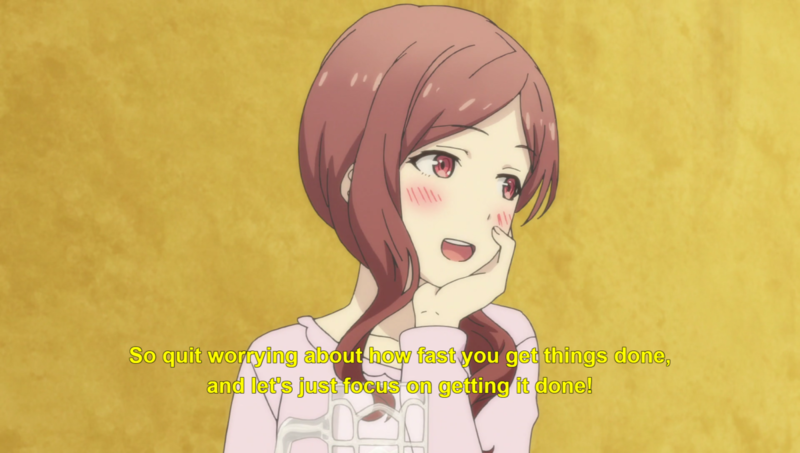 I’ve been blogging about anime, manga and related subjects for about nine years this month. I started on Wordpress.com and then moved to my own domain after seven months. At first, I wrote about news happenings and weekly episodes of Haruhi and Welcome to the NHK but then transitioned to more analytical posts at a less frequent update rate. Despite how long I’ve been writing and occasionally getting review or press inquiries through emails, I don’t consider myself to be a big-name blogger. I’m not sure if I would want that distinction but I would like to interact more with my readers and other bloggers (a thought I expressed in a post looking back at older anime blogs) since I have sometimes felt like I’m writing into a void. 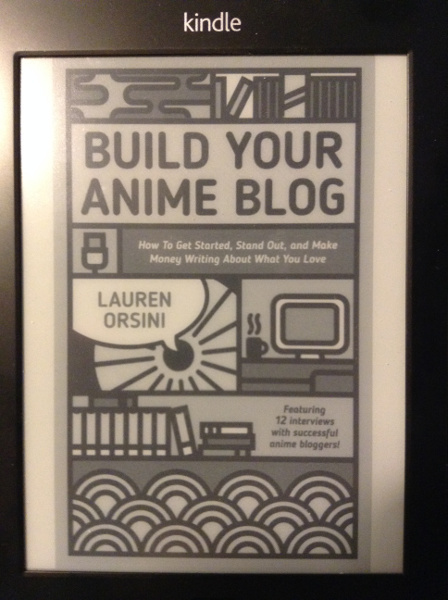 So I was interested in reading Lauren Orsini‘s new digital book Build Your Anime Blog (currently US $5.99 on Kindle Store), partly to get some advice on how to improve as a blogger but also to learn more about how fellow bloggers got started and continue to write. On Sunday, I began writing on a side blog that will focus on sports fiction (anime, manga, films, comics, etc.) and I’ve made a couple news-related posts on it so far. My intention is to cover smaller items that I likely wouldn’t bother fleshing out on here as well as profiling various sports series and other media. I also created a preliminary page to keep track of sports-related panels that have been presented at fandom conventions over the years since there’s been a growth in those, paralleling the popularity of simulcasted sports anime. I’m still early on in this project so feel free to make suggestions on possible improvements. 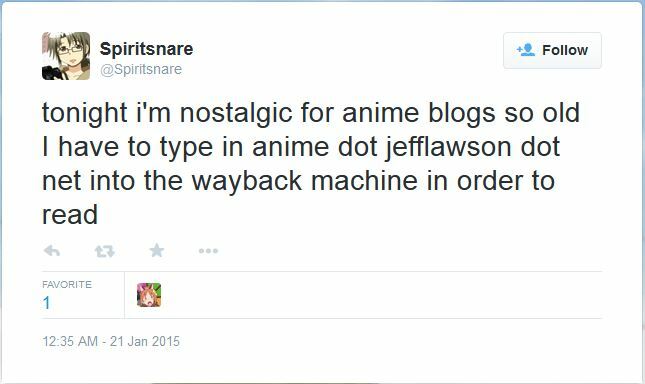 Seeing the above tweet by Spiritsnare last night sent me into a whirlwind of thinking about bygone and still surviving aniblogs that started in the previous decade (2000-2009). While memories were swirling around in my head, I realized that this May will be my ninth anniversary of blogging on a semi-regular basis – not as long as AWO has been podcasting (December 2005) but it feels like long in Internet time.